Recently during the launch event of Qualcomm’s latest chipset – the Snapdragon 845 – event in Hawaii, there were mentions of the Snapdragon 845 chipset being used in many smartphones. Till now Xiaomi confirmed that the Mi 7 is coming with the chipset, and the next year’s Galaxy S9-duo and Sony Xperia XZ2 have been rumored for the same as well. Apart from the smartphones, the major focus of the event was on connected PCs. This makes us curious to think that Chromebook devices powered by the Snapdragon 845 chipset may already be on the way. Qualcomm’s Snapdragon 845 includes immersive XR experiences, an intelligent personal assistant, and advanced vault-like security as well. The chipset features eight semi-custom Kryo cores, the new Adreno 630 GPU which significantly improves graphics rendering and video processing compared to the previous generation. The company’s second-generation Spectra 280 ISP which is designed to deliver a premium camera and XR experience, with a high-performance capture of up to 16 MP at 60 images per second and video lovers will appreciate cinema-like quality video thanks to ultra HD premium capture with richer colour. It also features the Hexagon 685 DSP which supports sophisticated, on-device AI processing, delivering richer camera, voice, XR and gaming experiences. The chipset is fabricated on a 10nm FinFET process. It can deliver download speeds up to 1.2 Gbps across a broader spectrum making the platform smarter and faster than ever before. Everything of this came into the picture when the people at XDA Developers spotted references to a new board overlay, called “cheza” for a reference device that would work alongside a chip known as “chipset-qc845.” This is believed to denote the Snapdragon 845, and it’s a moniker that appears several times throughout the repository, while Qualcomm is also specifically mentioned. If this happens then it would be the first Qualcomm Snapdragon-powered Chromebook hit the market. Qualcomm recently announced support for Windows laptop systems. These computers are said to come with up to 25-hour battery life and house LTE connectivity — features that would also go down well on Chromebooks. 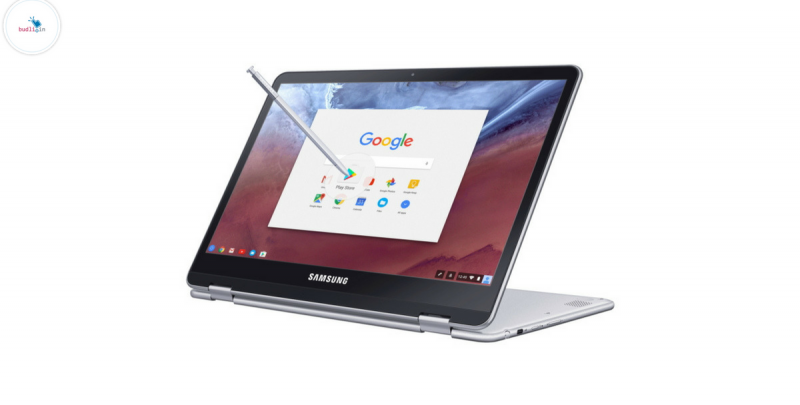 Though the new Chromium commits don’t necessarily mean that a Snapdragon-powered Chromebook is in the works but it is a firm indication. These laptops will definitely be amazing but they do take time to come into the market. So, if you are searching for the latest and the best in class laptops, then visit budli.in. Budli is the largest online store for all refurbished electronic devices ranging from smartphones and tablets to laptops and desktops. We specialize in delivering the best device which suits your needs. If you think this would cost you a lot of bunks then you’re mistaken, budli offers great discounts on all the gadgets. Visit budli.in and checkout with your gadget at the best possible price.